With New York Fashion Week in full swing, the misconception that you have to squeeze into something body hugging to look good is being blown out the water. 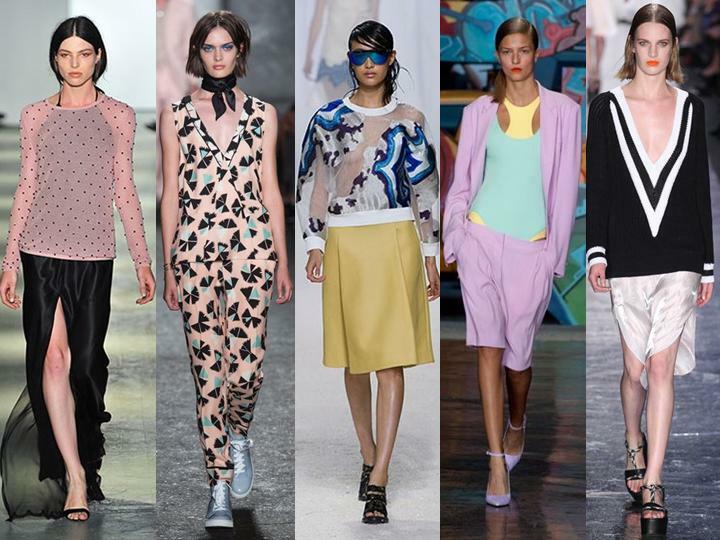 The Spring Summer ’14 ranges showed us that fashion is getting intelligent. Comfort and functionality were key factors in many of the ranges. One of my wardrobe dilemma quick fixes is throwing a slightly oversized tailored blazer over a t-shirt, allowing comfort but also providing a more dressy look. Looking at the ranges for the up and coming season, the art of comfort luxe seems to have been perfected. Elasticated soft tailored pants, bodysuits with shorts and blazers, sweaters over airy dresses and even dresses with pockets were some of the styles displayed by designers for their Spring Summer ’14 collections. The functional nature of these high fashion pieces have made them more practical for comfort and wearable longevity. Silhouettes are starting to accommodate a bit of room to breathe, though being structured and shaped in the right places, but not restrictive in the areas that count. It is very possible for silhouettes to look structured without restricting movement and a large factor is to do with fabrication and cut. Yes it’s amusing to see Lady Gaga in the occasional cage dress but in the real world, where comfort and productivity are king, you can get more milage out of a smart jumpsuit or a soft tailored elasticated ensemble. Now we’re talking. Images (left to right): Wes Gordon, Marc by Marc Jacobs, Phillip Lim, DKNY, Rag & Bone.